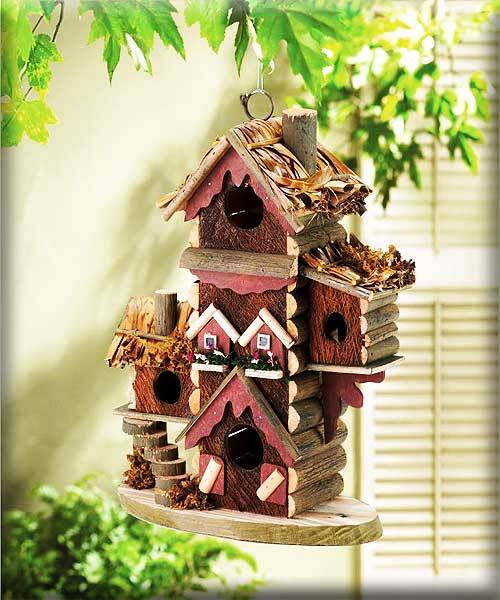 Stock# - 30206 This multi-level birdhouse condo offers lovable lodgings for several avian households. Thatched roofs and colorful trim make this a happy holiday retreat! 10 1/2" x 5 1/2" x 12 1/2" high. 9.75" x 9" x 9.75"
Stock# - 10015970 It will always be happy hour in your backyard when you hang this charming birdhouse in your favorite tree. A thatched roof tops this tropical getaway, complete with barstools, drink special signs, and a little plastic palm tree. 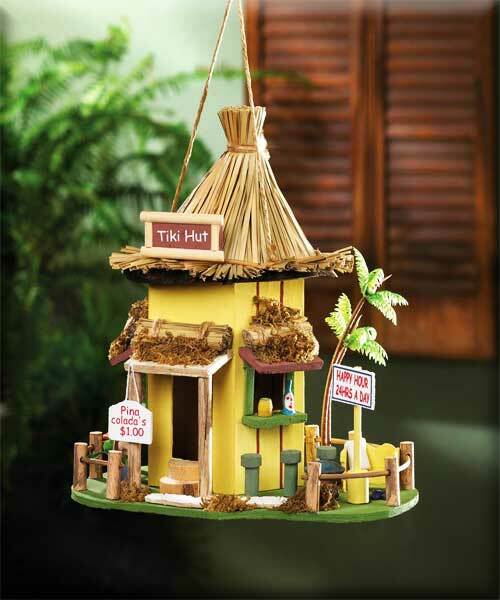 Give the birds in your yard a tropical hideaway with this wooden hut birdhouse. The interior is empty and just waiting for a nest! 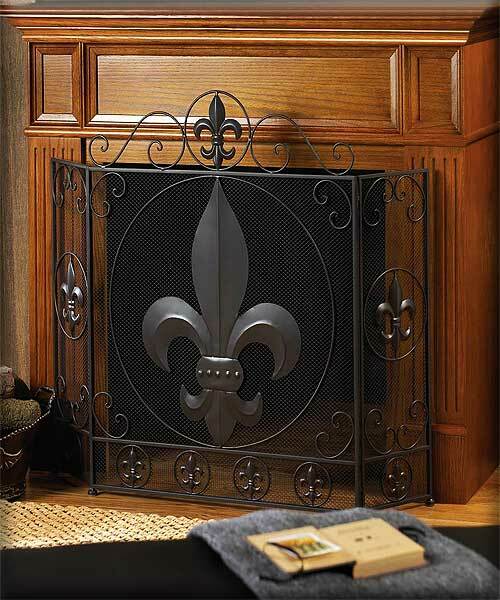 Stock# - 10016005 Fleur-De-Lis Fireplace Screen - This stylish fireplace screen makes a big statement in your chic decor. The center panel of this tri-fold screen features a large fleur-de-lis symbol surrounded by metal flourishes and smaller versions. The side panels mimic the central design and are adjustable to fit into your space. 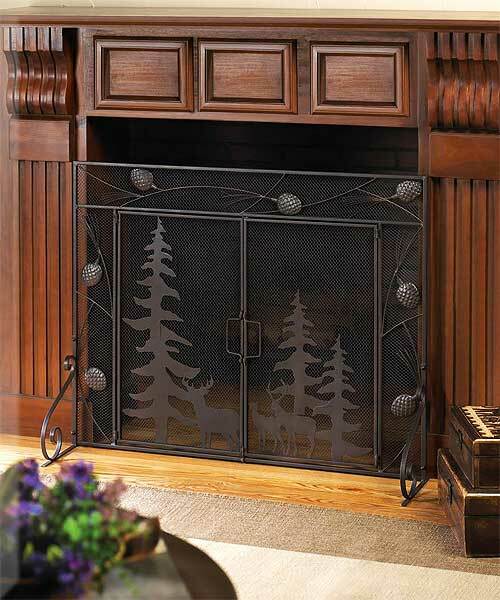 Stock# - 10016006 Woodland Wonder Fireplace Screen - A wonderful woodland scene is yours to enjoy every day when you place this gorgeous iron screen in front of your fireplace. Detailed pine cones surround the outer trim, while the interior panels feature silhouettes of evergreens and forest creatures. Its the perfect way to frame the flickering flames inside your fireplace! 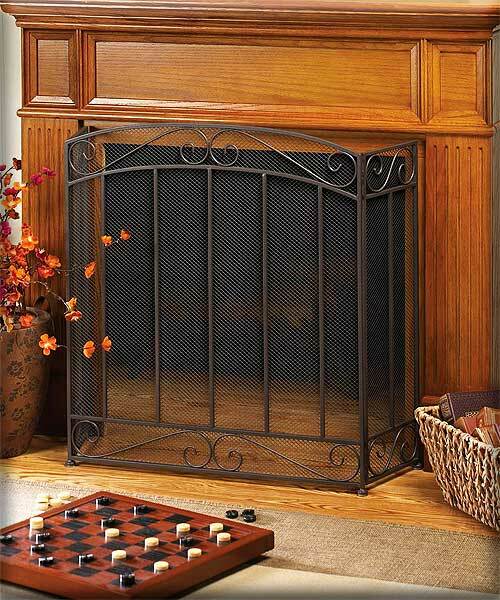 Stock# - 10016007 Classic Fireplace Screen - Timeless and elegant, you ll love the way this iron screen adds a touch of stately design to your fireplace. The tri-fold design allows you to fit it perfectly in front of your fireplace. 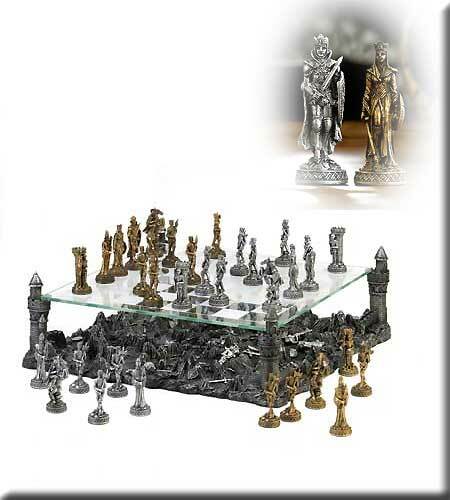 Stock# - 15189 Warrior Chess Set - Prepare for battle and defend your kingdom with this intricate and breathtaking medieval-inspired chess set! The glass game board is held aloft by four towers of the castle, revealing the remains of previous clashes below. Warring royalty and their brave knights are in full battle regalia, complete with swords and shields, in either silver-tone or bronze-tone. 13 1/2" x 13 1/2" x 5 3/8" high tallest piece is 3" high smallest piece is 2 3/8" high. Poly resin and glass.